I always get really excited when I hear about new skincare releases, especially when they're coming from a brand that I've used and trusted for years and years. 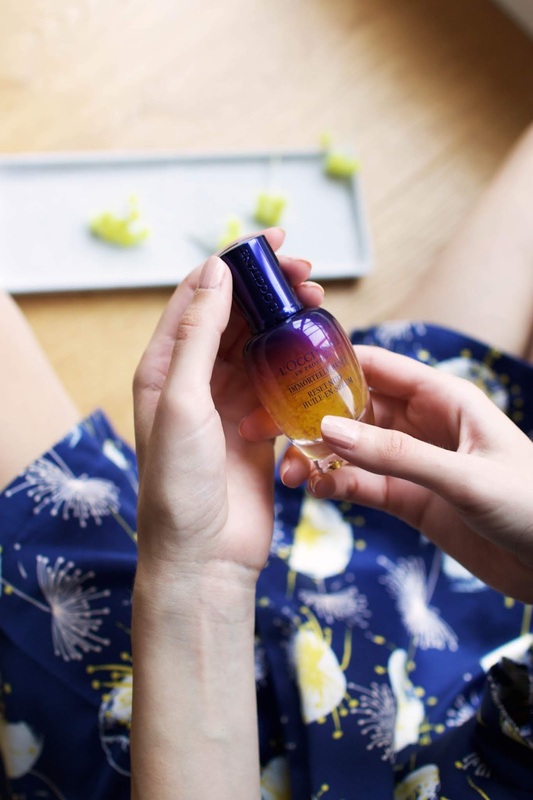 A few weeks ago, a surprise package from L'Occitane arrived at my doorsteps and inside was the new Immortelle Overnight Reset Serum and a beautiful limited edition kimono from Passionata. The presentation was absolutely stunning, the lovely team behind Traumpioniere have outdone themselves this time! 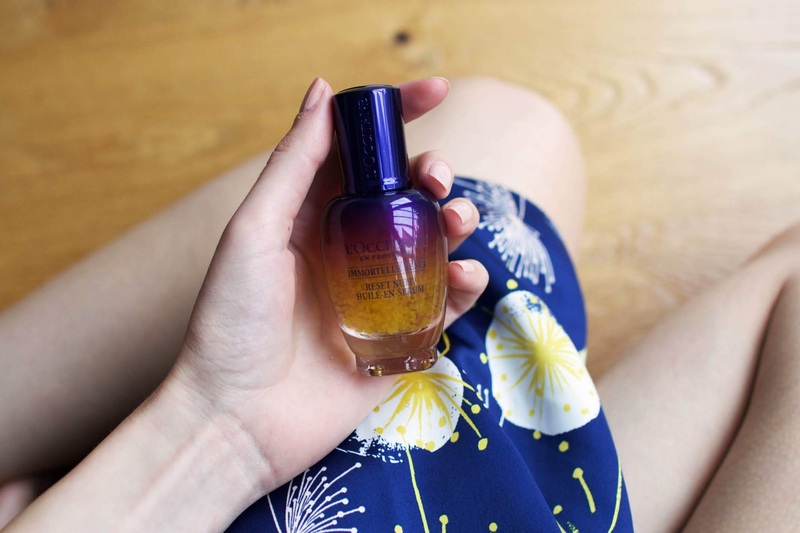 Now, read on to find out why I'm so obsessed with this new hero serum. This serum promises to transform your skin overnight to erase the impact of stress and fatigue and wake up each morning with a fresh, healthy-looking glow. 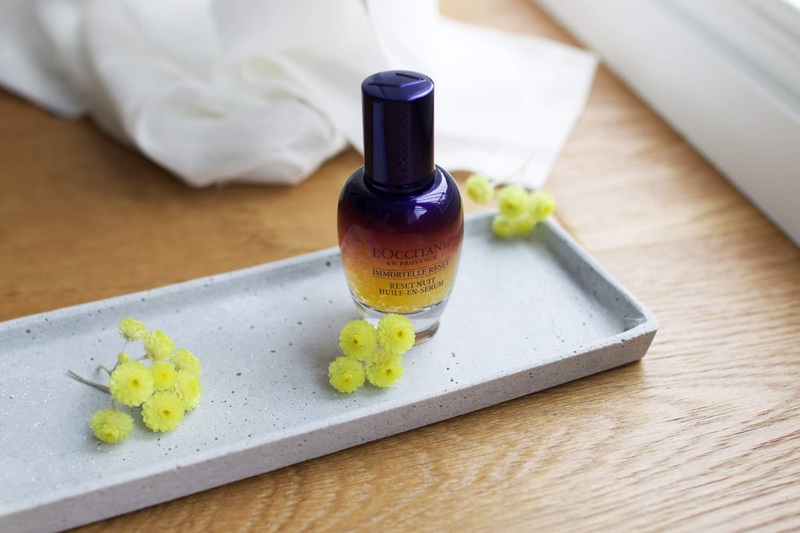 The idea behind Immortelle Overnight Reset Serum is to combat all the elements of modern life that have a direct impact on our skin: stress, pollution, exhaustion - you name it. Since our skin is best able to perform repairing and regenerating functions at night, a proper skincare routine is super important. This serum is suitable for all skin types and works in combination with all L'Occitane serums and moisturisers. I really enjoy the formula of this product and what I find the most fascinating are the special ingredients. The texture is an extremely light water-gel infused with Marjoram and Acmella Oelacera, ingredients that are known to help activate gene expression functions and relax muscle tension to smooth the appearance of fine lines and expressions lines. 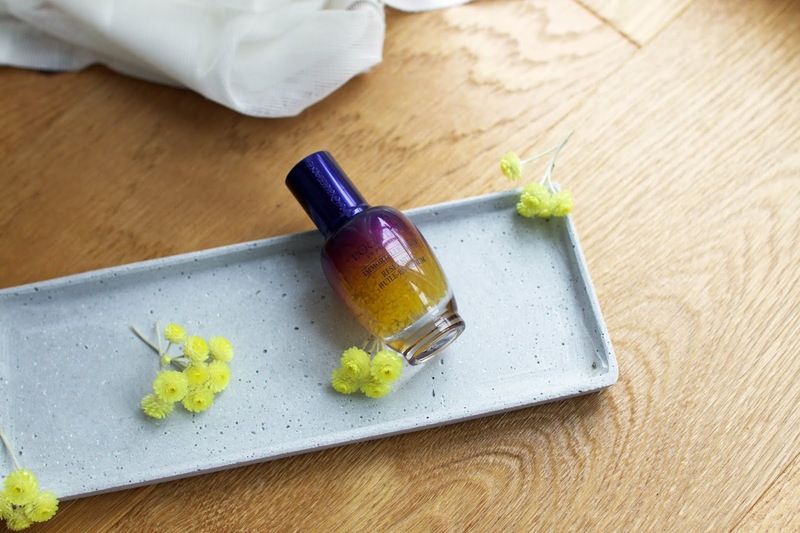 While gently massaging the serum into your skin, the immortelle oil extract releases in thousands of suspended golden bubbles. 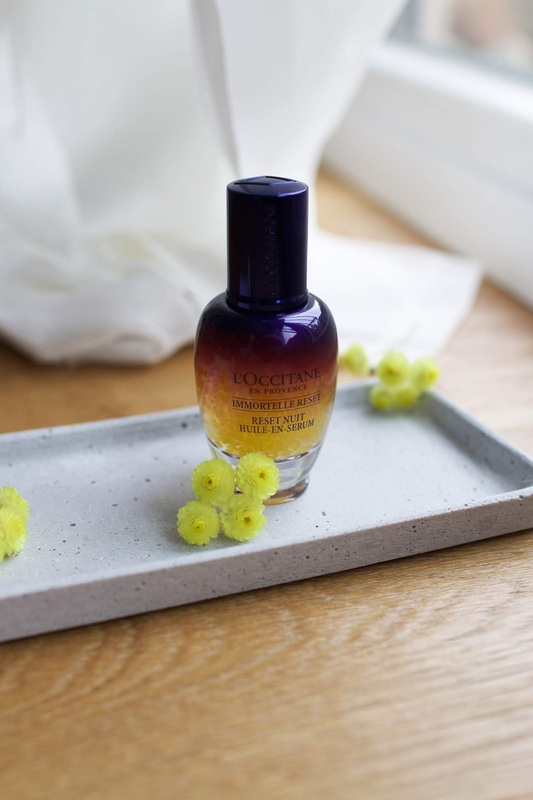 This oil is a very powerful antioxidant which increases collagen production for firmer skin. I love that this serum doesn't leave a greasy residue and absorbs into the skin quite quickly. I like to take my time applying it all over my face while giving me a little facial massage. I have been using this serum for a couple of weeks now and I absolutely love it. It feels like silk when applied and one little pump is enough, so you don't need huge amounts and it will last you a long time. I could actually tell a difference after one use, my skin looked so plump in the morning and felt incredibly hydrated. I sometimes get very dry skin around my mouth and this serum literally cured that problem after one application. It performs incredibly well and I also enjoy the spa-like scent of it. I also find that it helped to improve my overall skin texture and I adore the subtle fresh feeling this leaves on my skin when I go to bed. I can highly recommend this serum and it has become without doubt a staple product in my nightly beauty regime! Have you guys tried this serum yet? I'd love to hear your thoughts in the comments!